There are plenty of reasons to smile if you live in Redwood City. The Bay Area has so much to offer people of all ages. Yet some people feel hesitant to smile, even around people they've known for years, because of serious dental issues. 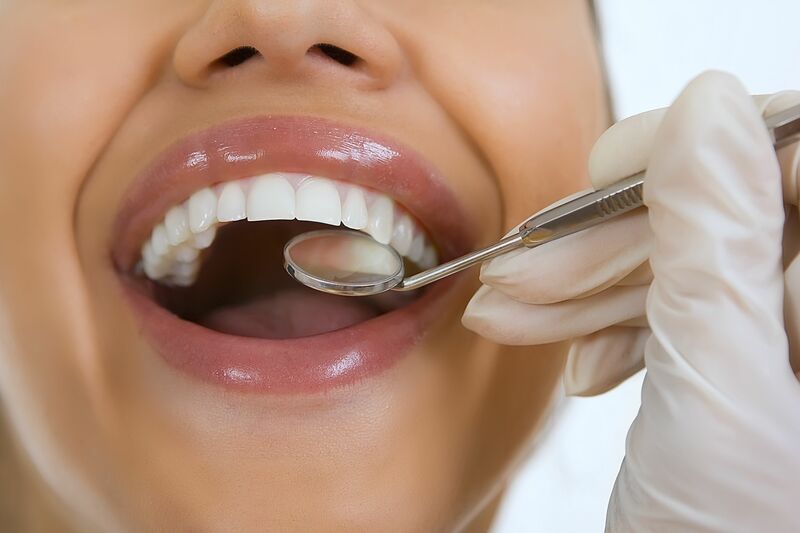 Thankfully there are state-of-the-art cosmetic dentistry procedures out there to help address serious aesthetic problems that affect the teeth and the gums. We'd like to take a moment to consider who is a great candidate for cosmetic dentistry. The best candidates for cosmetic dentistry treatment are people who suffer from aesthetic issues affecting their smile. They should be in good dental health otherwise. While cosmetic dentistry is predominantly focused on aesthetics, we should point out that some cosmetic procedures will involve improving dental health as well. These approaches to cosmetic dentistry are sometimes considered restorative rather than purely cosmetic, though that just goes to show how much crossover there is between a healthy smile and a beautiful smile. If you have teeth that are stained or discolored, cosmetic dentistry is a great option to consider. For most stains, teeth whitening treatment can work wonders, eliminating discoloration and making smiles brighter in the process. For major tooth discoloration issues, dental bonding or porcelain veneers may be a good option for masking the problem from view. Minor chips and cracks can leave you feeling very self-conscious about your smile, especially if the chip or crack affects your front teeth. When it comes to these kinds of problems, dental bonding can help conceal the problem. Porcelain veneers can be used for more serious chips and cracks that are still predominantly cosmetic in nature. Whether we're talking about a tooth gap between your front teeth or a space left behind after you've lost a tooth, there is a cosmetic fix. For tooth gaps, porcelain veneers tend to be ideal for helping fill that space naturally. If you are missing a tooth, a dental bridge or a dental implant can be used. These options for missing teeth are more restorative in nature, though there's a strong cosmetic component to treatment regardless. Teeth that are crooked can leave you feeling self-conscious about your smile. This malocclusion can also lead to a number of dental health problems as well. Thankfully orthodontic care can be considered for your cosmetic dentistry needs. Braces or advanced invisible orthodontic treatments can be considered as needed. In addition, porcelain veneers can be used to deal with some alignment issues. You may notice that porcelain veneers have come up a fair amount with regard to treatment. They reason for this is their general versatility. In fact, because of this versatility, porcelain veneers has been nicknamed “instant orthodontics” by some people. The teeth aren't the only thing that cosmetic dentistry can treat. People who have prominent gums or issues with gum recession can also undergo cosmetic dentistry to address these issues. Periodontal surgery can help reshape the gumline, making your smile look its very best. Problems rarely come one at a time, and when it comes to the appearance of the smile, people often experience multiple cosmetic issues at once. When treating these complex aesthetic cases, dentists are able to perform full smile makeovers. This is a combination of cosmetic procedures that help treat multiple cosmetic and health issues at once. For more information about cosmetic procedures and how to make your smile look its absolute best, be sure to contact our cosmetic and restorative dentistry practice today. We look forward to your visit and going over these matters in greater detail.